Berkley Publishing Group, 9780425213711, 340pp. 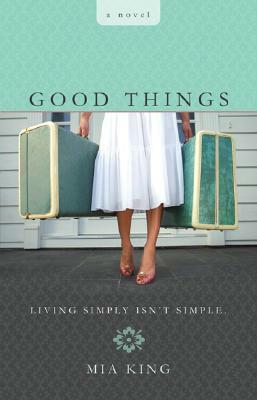 A charming debut novel about a lifestyle maven who learns that living simply isn't simple. Deidre McIntosh became famous teaching women to live simply, and simply live-ironic for a woman who thrives on the chaos of a television career, and shares a home with her best friend, the one man she can count on-who happens to be gay. But when her Seattle cooking-and-lifestyle show gets bumped off the air, and her best guy moves in with his boyfriend, she's left trying to figure out the next segment. Seizing on a chance encounter with an attractive stranger, Deidre accepts his offer to use his country home. She hopes to get away for a while and learn to practice what she preaches. To appreciate life without voice mail. To gain the courage to start again, and take the first slow, cautious steps toward a new kind of success-and maybe even love.